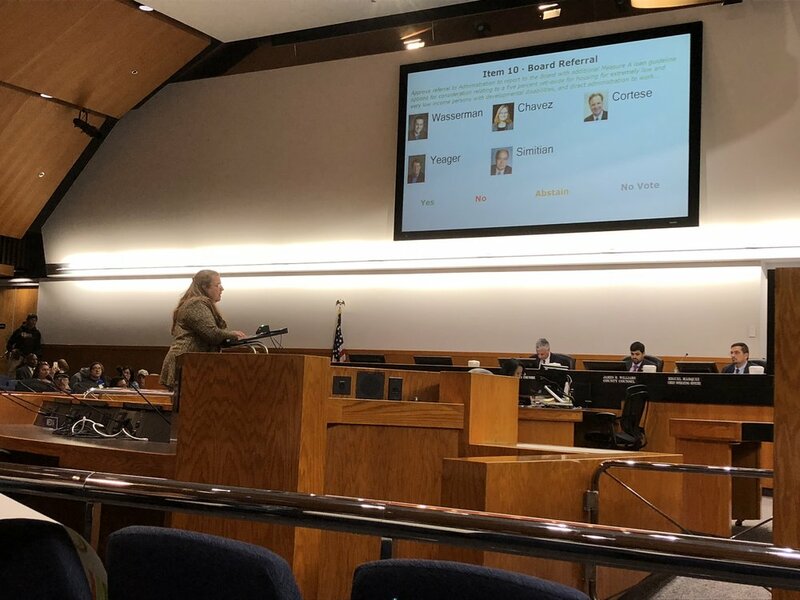 On September 11, 2018, the Santa Clara Board of Supervisors voted on a proposal to include people with developmental disabilities on the Measure A housing bond, which finances affordable housing for "vulnerable populations". Supervisor Simitian originally proposed that the funds come from the Measure A housing bond, and that the guidelines be revised to allow for financing applications for housing projects that target people with developmental disabilities who are not currently homeless, but are extremely low and very low income. As approved by the Board of Supervisors on a 5-0 vote, the County's Chief Executive Officer will identify $40 million in non-Measure A funds that can be used to support a new county finance program to provide housing for extremely low and very low income individuals with developmental disabilities served by the Regional Center and who are not yet homeless. County funds will enable a number of Partner Properties in the pipeline to finally start construction, and it will inspire additional developers to look again at inclusive housing for people with developmental disabilities.The administration will report back to the Board with funds identified as well as an outline of how the program will work, so there will be additional opportunity for public input. In the intervening months, affordable housing projects that address this need have continued to move forward in cities across Santa Clara County, with significant city funding commitments. But the projects still have a funding gap, and we need county funding to get them built. We expect the county administration to return with a recommendation at the March 12th Board of Supervisors' meeting for funding the entire $40 million over a multi-year period. The expectation is that the first appropriation will occur in the upcoming budget which goes into effect on July 1 of this year, and there will be a plan for funding in subsequent years until the total of $40 million is reached. We at Housing Choices always strive to give our friends and family living with developmental disabilities a voice and a home. If you would like to continue supporting the cause and making a difference, please fill out our form below! 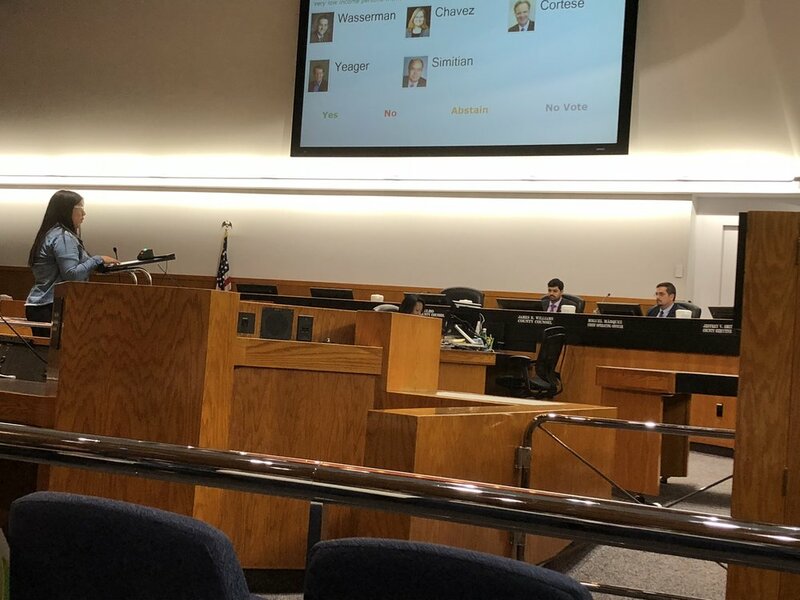 Check out some of our photos from the September 11th Santa Clara County Board of Supervisors meeting!